Where does your business stand? What forces shape your present situation? When you can answer these questions, you're ready to plan for the future. 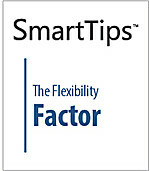 In this SmartTips video, we take a look at the 5 C's Situation Analysis — a tool used by business managers to determine just where their company stands. SmartTips: Who Sits On the C-Suite? Who are the members of the C-Suite level of a company? This SmartTips video identifies the key positions of this highest level of management, what they do and what their responsibilities entail. Many managers are frustrated by organizational roadblocks, internal politics, lack of planning, and other issues that add up to an unhealthy situation. The good news is that there are proven strategies to building a healthier organization. 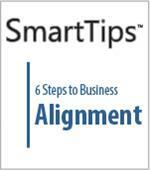 In this SmartTips video, learn 6 ideas to get started. Business alignment simply means making sure that your plans, policies, and projects are coordinated with your real-world resources, cultures, and technologies. 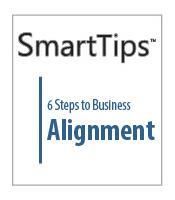 This SmartTips video features 6 steps to help you achieve business alignment.